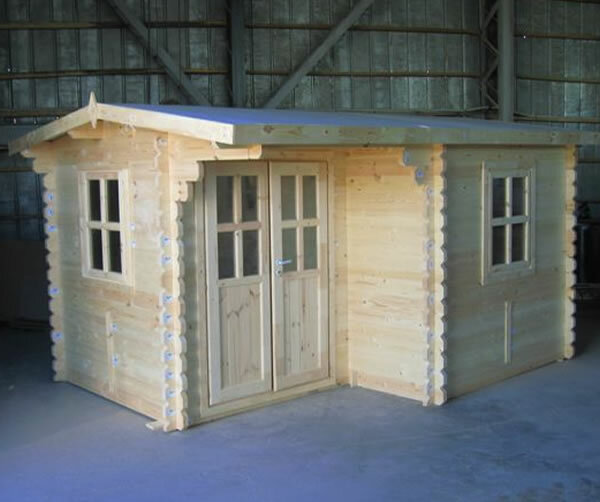 A range of 34mm (1.3") Eurovudas log cabins manufactured using the very best kiln dried white pine available. This range is also FSC certified, indicating that any wood used is sourced from responsibly managed forests. 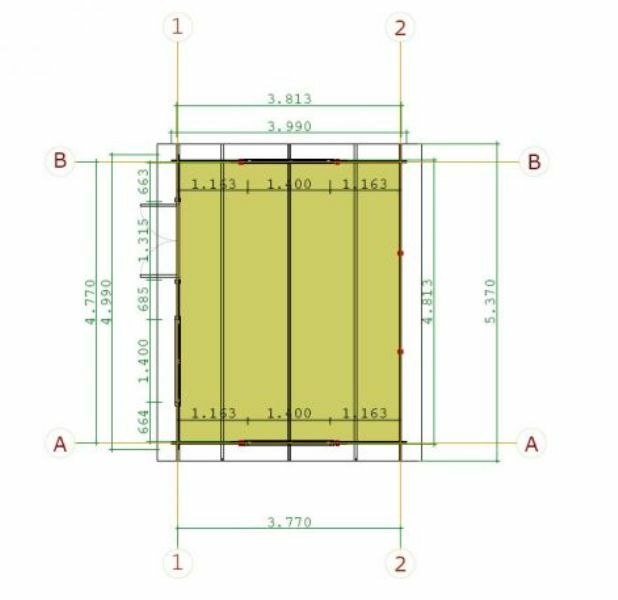 These cabins are available in a range of sizes from 3x3m (9'8 x 9'8) up to 6x6m (19'8 x 19'8) and are ideal for leisure, gyms, offices or simply to provide additional living space for your family. 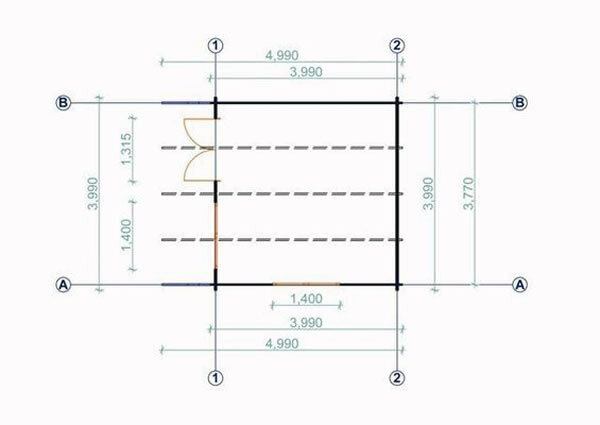 All cabins are designed for easy self-assembly, however there is a full installation service available upon application. 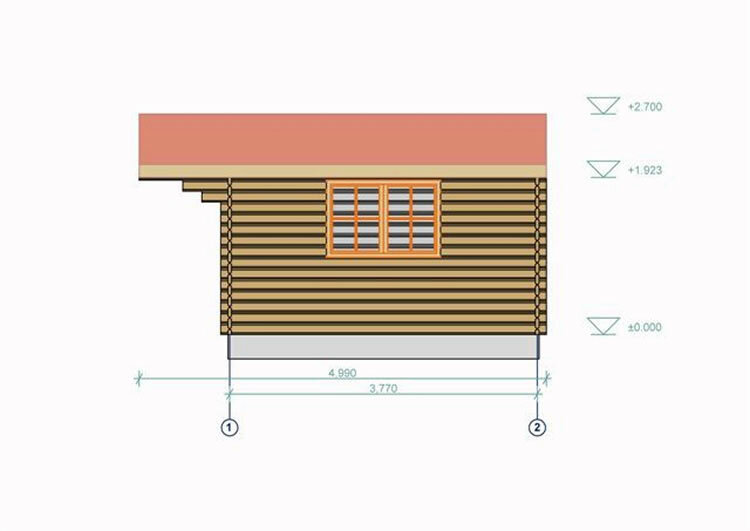 There are many options available for these cabins to adapt specifically to your requirements, such as, various styles and colours of roof shingles and verandas. 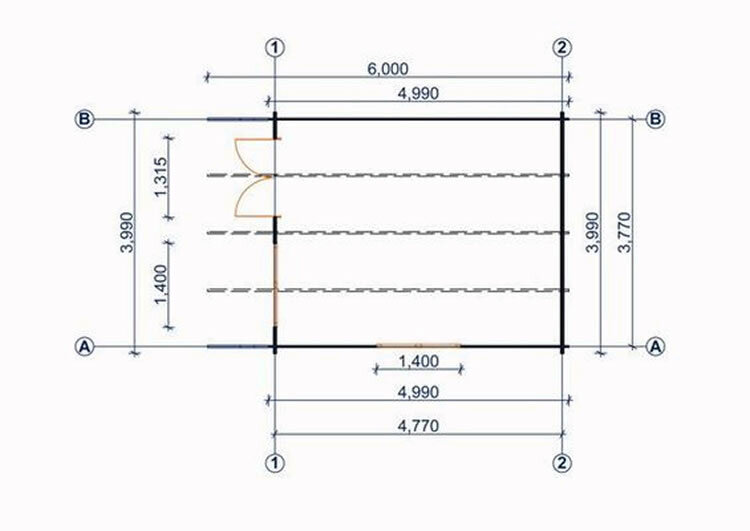 Delivery prices are stated on the individual product pages. 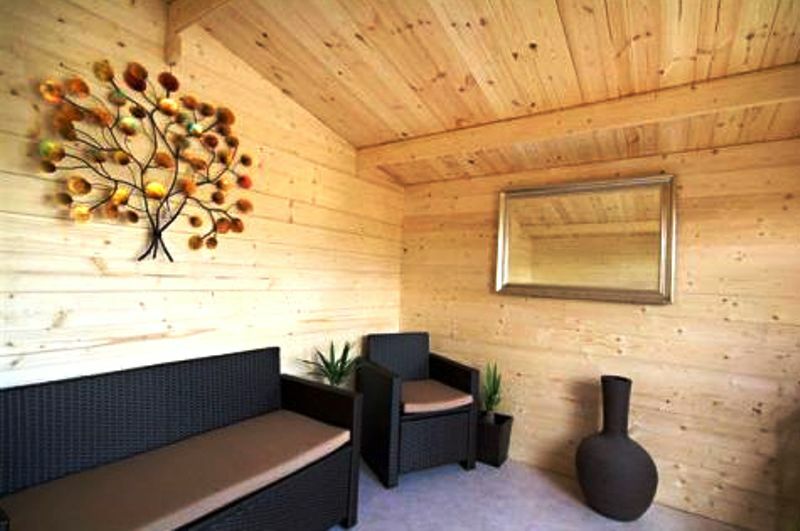 The Alpina Log Cabin measuring 4x3m (13'1 x 9'8) is built using 34mm logs, ideal for use as a garden office. The Alpina Log Cabin measuring 5x4m (16'4 x 13'1) built using 34mm logs and ideal for providing additional family living space. 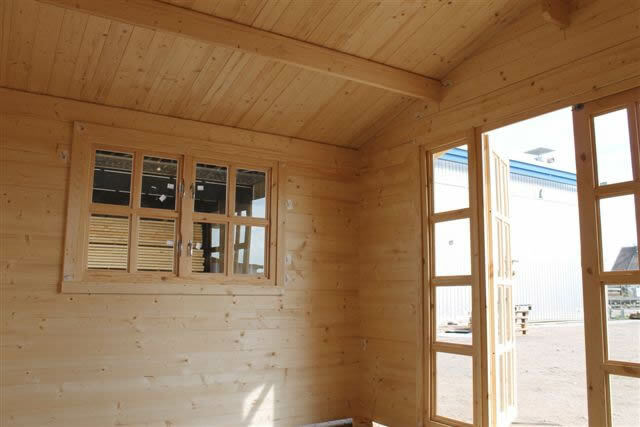 The Brighton log cabin measuring 3x3m (9'8 x 9'8) is built using 34mm logs, ideal for office use. The Brighton 34mm log cabin measuring 4x3m (13'1 x 9'8) provides the perfect additional living space to both relax and entertain in. 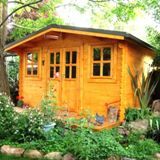 The Luton log cabin measuring 3x3m (9'8" x 9'8") built using 34mm logs is ideal for use as a garden office. 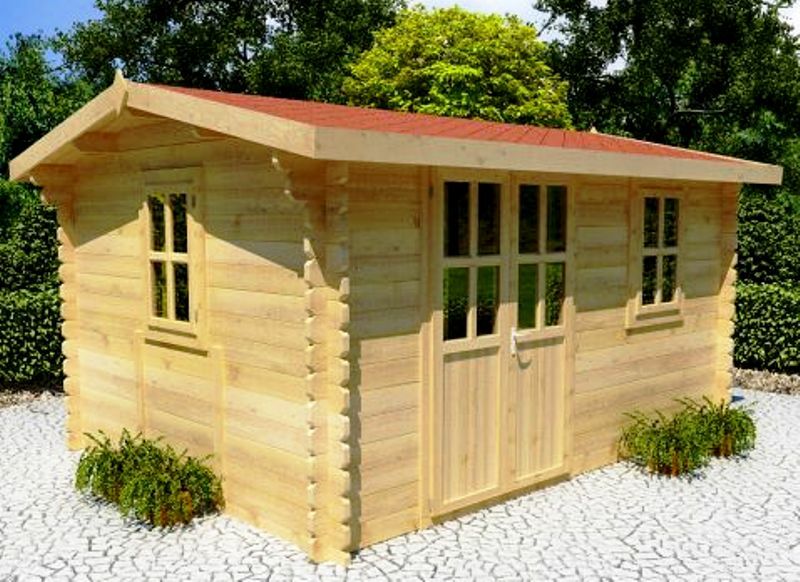 The Luton log cabin built using 34mm logs measures 3x4m (9'8" x 13'1"). Perfect for providing additional family living space or for use as a garden office. The Luton log cabin measuring 4x5m (13'1" x 16'4") built using 34mm logs is ideal for providing additional family living space. The Luton log cabin built using 34mm logs and measuring 5x4m (16'4" x 13'1") provides the ideal solution to a lack of family living space. The Luton log cabin measuring 5x5m (16'4" x 16'4") built using 34mm logs provides the ideal solution to a lack of family living space. The Oxford Log Cabin 4x3m built using 34mm measures (13ft x 10ft). Ideal for use as a large garden office. The Rumus Log Cabin built using 34mm measures 4x3m (13ft x 10ft) . Ideal for using as an extra place to socialise. The Rumus Log Cabin built using 34mm measures 5x4m (16'4" x 13'1"). Ideal for use as a large garden office. 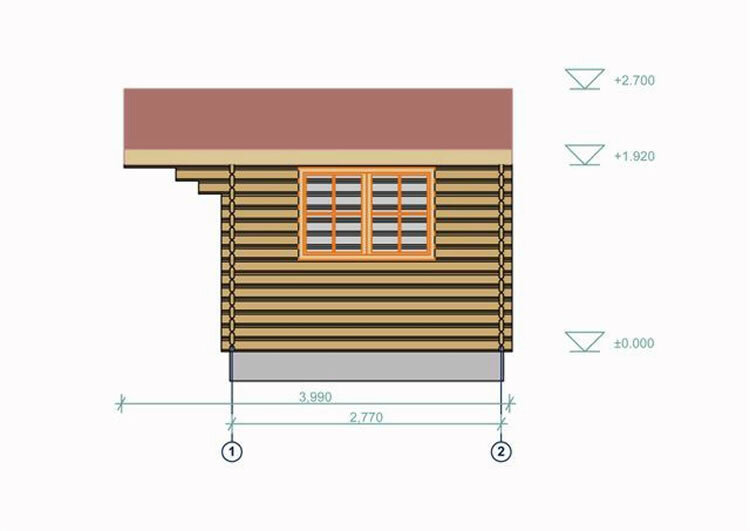 The Wales Log Cabin measuring 3x3m (9'8" x 9'8") built using 34mm logs is ideal for use as a garden office. 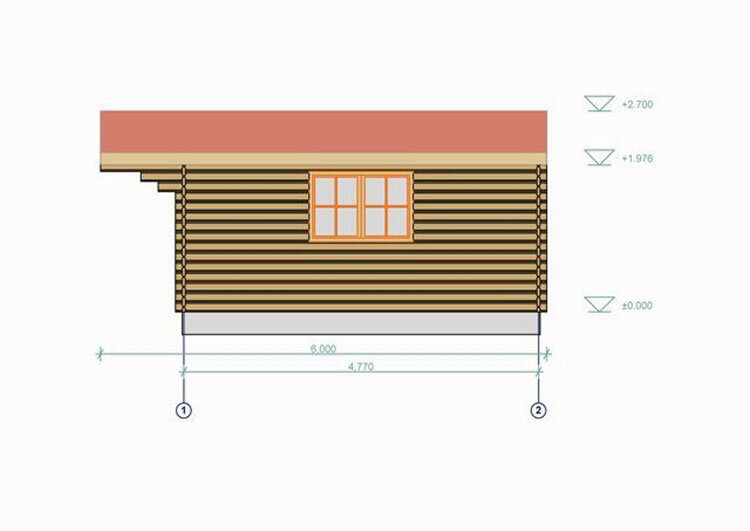 The Wales Log Cabin measuring 3x4m (9'8" x 13'1") built using 34mm logs is ideal for providing additional family living space. 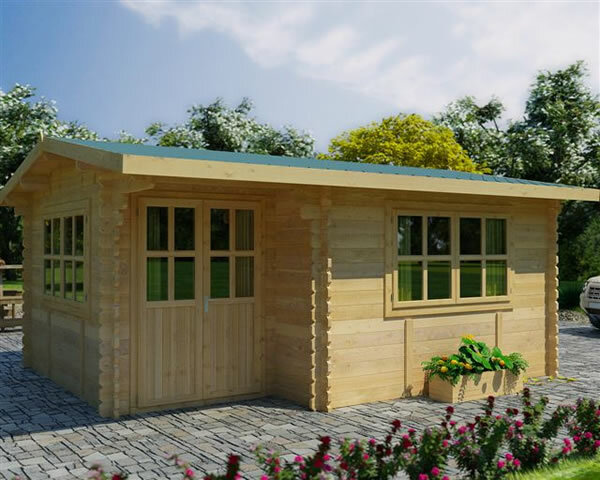 The Wales Log Cabin measuring 4x4m (13'1" x 13'1") and built using 34mm logs is ideal for use as an office or additional family space. The Wales Log Cabin built using 34mm measures 4x5m (13'1" x 16'4"). Ideal for use as a garden office. 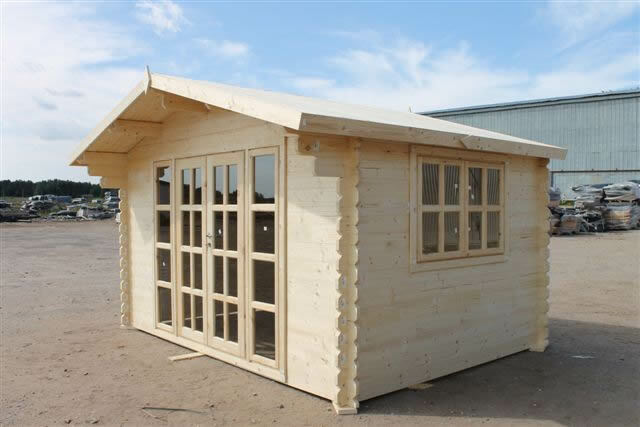 Wales Log Cabin measuring 5x5m (16'4" x 16'4") is ideal for use as a garden office. 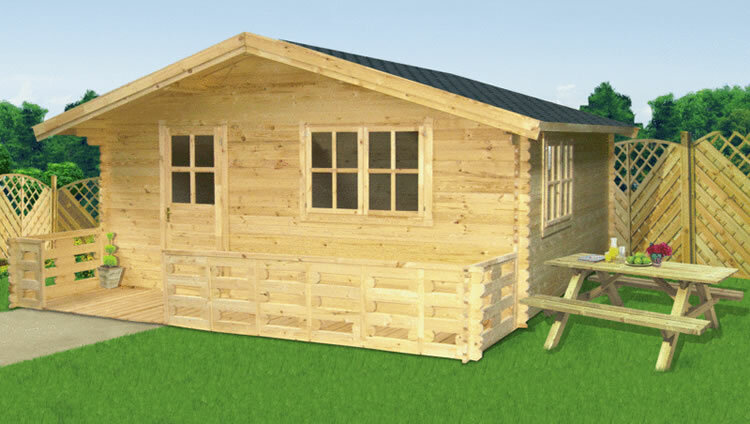 The Wales PLUS Log Cabin measuring 4x3m (13'1" x 9'8") is built using 34mm logs, and is ideal for use as a garden office.